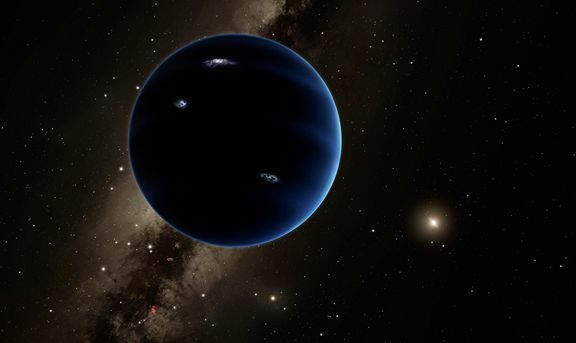 Is there a super-Earth in the Solar System out beyond Neptune? When the a dvent of large telescopes brought us the discoveries of Uranus and then Neptune, they also brought the great hope of a Solar System even richer in terms of large, massive worlds. While the asteroid belt and the Kuiper belt were each found to possess a large number of substantial icy-and-rocky worlds, none of them approached even Earth in size or mass, much less the true giant worlds. Meanwhile, all-sky infrared surveys, sensitive to red dwarfs, brown dwarfs and Jupiter-mass gas giants, were unable to detect anything new that was closer than Proxima Centauri. At the same time, Kepler taught us that super-Earths, planets between Earth and Neptune in size, were the galaxy’s most common, despite our Solar System having none.